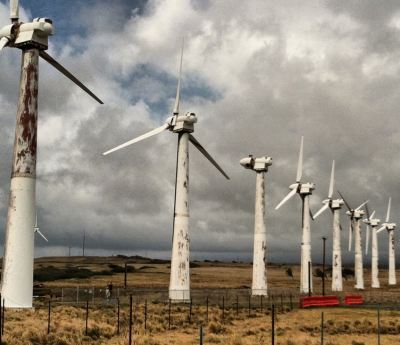 (Not) going the distance: Hawaiian wind farm proves rust never sleeps. NoTricksZone tackles the same ‘end-of-days’ debacle in this piece, but also deals with a recent event where a ‘big blow’ flooded Germany’s power market for a few hours, leaving German power consumers with a whopping bill. 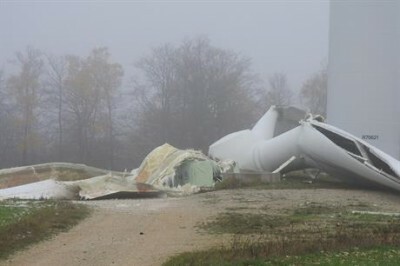 The online Die Welt here reports that storm “Herwart” which swept across Germany late last month – with wind gusts of up to 140 kilometers per hour – led to a wholesale electricity “price collapse” and thus “exposed the madness of the Energiewende”. The consumers get no benefit from this. For them it will even be more expensive. This is because grid operators are forced to pay large buyers to accept the power that no one needs or wants, they incur added costs, which, of course, will be passed on to the regular German consumers. Germans are already saddled with almost the highest rates in the world. This is despite the preposterous comments made by some media outlets suggesting that German consumers could even get paid for the disposal of waste power. ‘Herwart’ shows in a sobering manner the astounding design deficiency of the German Energiewende [transition to green energies]. Die Welt blames Germany’s Energiewende and the green energy feed-in act, which “systematically disable market forces”. On another note, the Kiel, German-based Kieler Nachrichten (KN) reports “thousands of wind turbines will be supposedly dismantled over the coming decade because the state subsidies will run out”. “And according to the Berlin-based specialty company Energy Brainpool, these turbines will not be replaced if energy prices do not increase. Economists of the Helmholtz Center for Environmental Research also expect a decommissioning of a considerable number of older turbines. The 2020s is when Germany will start to see the end of its wind energy madness. It all depends on the price of electricity, beginning in 2021. Wind turbines were originally guaranteed fixed feed-in rates for a period of 20 years. Now that these early deals are approaching the end, and the feed-in tariffs expire, it is unlikely that they will continue. The current wholesale electricity price of 3 euro-cents per kilowatt-hour will not be enough to keep the turbines in operation. The question that remains is what will happen to these thousands of defunct turbines. Will they be abandoned and thus leave the country’s idyllic landscape a mass junkyard – a monument to one of the greatest industrial follies man has ever witnessed? I see you are still, indirectly, citing Prof Gordon Hughes’ 2012 study on the performance drop-off of wind turbines. Its statistics and conclusions were seriously questioned by the late Prof, Sir David MacKay, FRS (a wind sceptic; http://www.withouthotair.blogspot.co.uk/2013/12/do-uk-wind-farms-decline-very.html), and Roger Andrews (another wind-sceptic; http://euanmearns.com/uk-offshore-wind-capacity-factors-a-semi-statistical-analysis). I leave it to STT readers to draw their own conclusions about the magnitude of deterioration of performance with time, even without allowing for turbines that are larger and of newer design being expected to have higher capacity factors, and how well or poorly that matches the conclusions of Prof Hughes’ study that they only last 10 years or so (its Fig 1). There may be many good reasons to diss wind power – industrialisation of the countryside being at the top of my list – but I fear Prof Hughes’ study is easily demonstrably not one of them. The first author you cite hardly looks like a wind ‘skeptic’ (whatever that means?). None of which are dealt with by the authors you cite. If you wish to promote wind power, you’re welcome. Just do it with your own grid and your own money. I meant the term to be a concise, respectful indication that the person/organisation thinks wind power is a bad idea. Is there another term you’d prefer? You might mistake MacKay for a renewables proponent, but he actually wrote his book ‘Renewable Energy without the Hot Air’ to show that large-scale renewables’ logistics would be infeasible and its environmental and other non-financial costs would be unacceptable by a wide margin, and thus would be a non-starter. That’s why he doesn’t go on to address the problem of matching the timing of renewables’ production to the timing of demand, let alone the financial costs. In fact he was a proponent of nuclear power, which had long been the British government’s preferred option. Despite him being the UK government energy department’s Chief Scientific Advisor, it seems few people in government have read his book. It would be interesting to know how much of the actual reduction in output of the wind farms I cited is from complete failure of individual turbines, and how much due to general ageing. Not being in the industry, I’ve no way of telling. They are left where they are which will mean they will rust and decay with others than their owners having to eventually remove the eyesore. They will be removed and the blades will have to be buried in landfill with the rest maybe being recycled – but that is not a certainty if any of it cannot be sold for recycling. Then there is the problem of whether the company that ‘owns’ a site is actually financially capable of removing them. Lets face it many here in Australia have been placed into the control of $2 companies to protect the true owners from having to pay for removal. There is also another aspect of these things that is going to cause a massive environmental disaster in relation to removing and destroying – battery’s. This claimed ‘clean’ energy production process is becoming more and more ‘dirty’ each time they try to resolve the problem of reliability. When will our Governments accept they have got it wrong and its time to ensure we are looking after OUR environment in an environmentally responsible manner. The environment BELONGS TO US ALL it is not something that belongs to misguided ignorant so called environmentalists or the Governments – remember Governments duty is to work for and act in the best interests of the people – US and allowing OUR environment to be destroyed is not working in the best interests of the people of this Nation. Every Wind Project now and in the future should receive nothing from the public purse but should be mandated to have sufficient money in a secure ‘bank account’, to ensure these things can be removed and destroyed in an environmentally acceptable manner, where nothing is placed in landfill, or allowed to be destroyed in a manner which causes environmental contamination. If it is not possible to stop subsidies immediately then those projects still be receiving them – the subsidies should be directed to be placed in secure accounts where the money is to be used for decommissioning of projects in the future. Thus the companies will not receive the subsidies as a profit but will be able to finance environmentally acceptable decommissioning. Your forward thinking is much appreciated, Jackie. As for Germany, on the ground reports from insiders suggest their are approximately 1000 groups of people actively opposing the turbines that are running/ruining now. Who knows how many people are experiencing harm to their health? These things need to be turned off now. The answer is NOT blowing in the wind. Well, if decommissioned coal plants are being rehabilitated, then that should be factored in to decommissioned wind farms as well! Put the burden back on to these wind farm charlatans! Why should they be able to walk away from their failed experiments? Will be very interesting to see how many of those defunct turbines long stand as memorials to one of Merkel’s colossal follies. 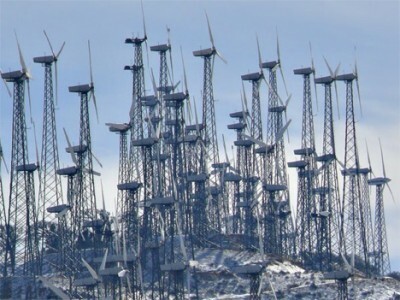 Will decommissioned wind turbines be left scattered across the landscapes of the world as they reach their 15th or 20th year or whenever the subsidy runs out? If so, they are destined to become the western world’s moai, in comparison to Easter Island’s weather-beaten statues – examples of still life: art representing a failed social experiment. Noting that many EROI and LCOE studies are based on 25 to 30 year lifespans for wind power, I look forward to this to be reduced to a more reasonable 15 – 20 years and for proper end-of-life demolition, recycling and site restoration to be included in future cost benefit analyses at their true costs.